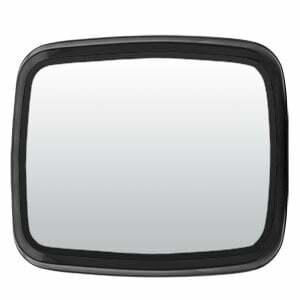 For delivery trucks, walk-in vans and other commercial vehicles, RETRAC step van mirrors offer a perfect mirror replacement option. 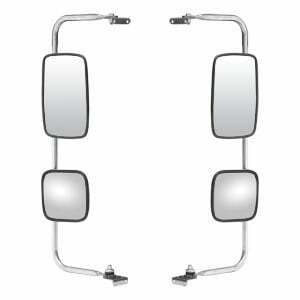 They are designed to mimic the original equipment look and functionality of the existing mirror, and most of them feature first-surface, electro-chrome glass for maximum safety. 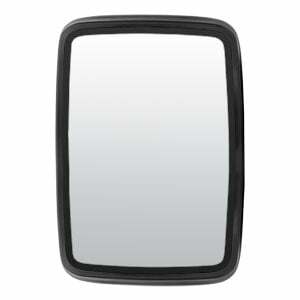 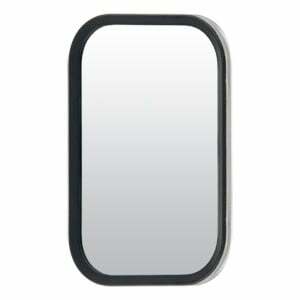 RETRAC step van mirrors are available in vehicle-specific or universal applications. 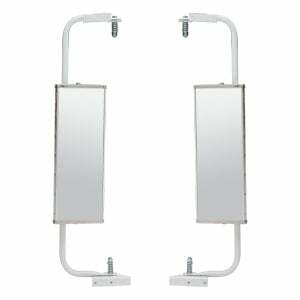 We offer complete mirror assemblies, including the mirror head and mounting assembly for both sides of the vehicle. 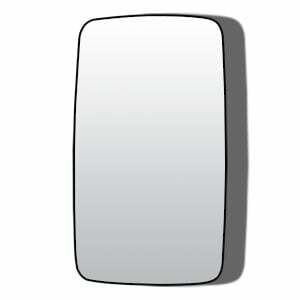 We also offer standalone mirror heads and convex mirror heads. 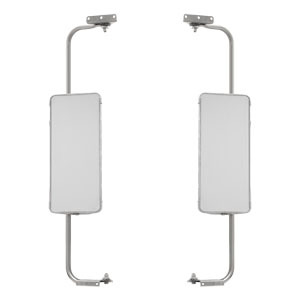 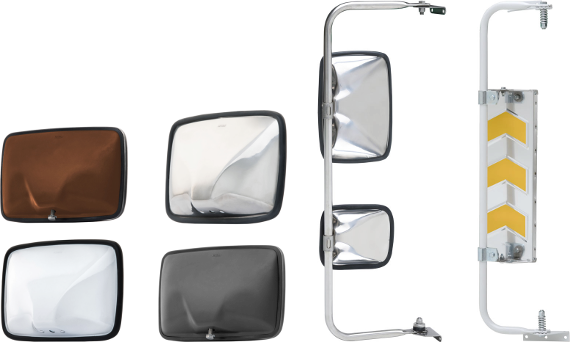 As an ideal replacement option, RETRAC step van mirrors are available in a range of colors to match the look and style of standard delivery trucks, including UPS brown, USPS white and FedEx polished stainless steel. 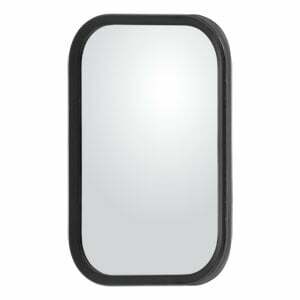 Many of our step van mirrors also feature our retractable design for added side clearance as needed, and they are made right here in the USA for dependable quality.